Pictured at the Celia Holman Lee Focus Ireland video promo shoot from left to right – Rebecca Reynolds, Focus Ireland, Richard Lynch and Aisling O’Connor, I Love Limerick, Focus Ireland Ambassador Celia Holman Lee, Claire Culhane, Luke Culhane, Limerick Person of the Year and Mick O’Connor, Focus Ireland. Picture: Michael O’Sullivan. 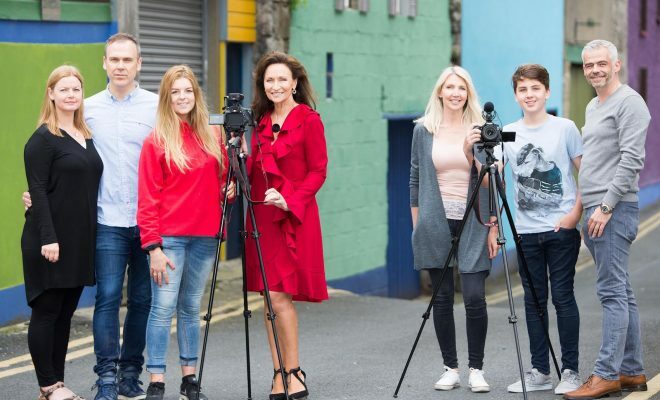 Limerick’s Celia Holman Lee has given her backing to the fight against homelessness with the news that she has been an unveiled as an ambassador for Focus Ireland. 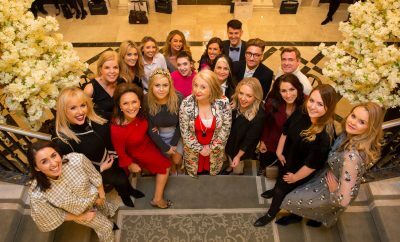 The well-known model, fashion stylist and television presenter is supporting the Focus Ireland efforts locally in Limerick, and nationally, as the homelessness crisis worsens. Next year, 2018 will mark twenty years of Focus Ireland service provision in Limerick City and County, and now more than ever Focus Ireland Ambassador Celia Holman Lee is urging local people to get behind the efforts. 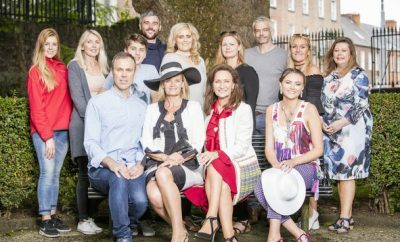 Celia said: “I am so honoured to become an ambassador for Focus Ireland as thanks to them there is a clear end in sight for the trauma of homelessness that Irish families are currently going through each day. “It breaks my heart to see that the number of homeless children has continued to rise and to be given an opportunity to shine a light on this crisis is something that I feel very passionate about. 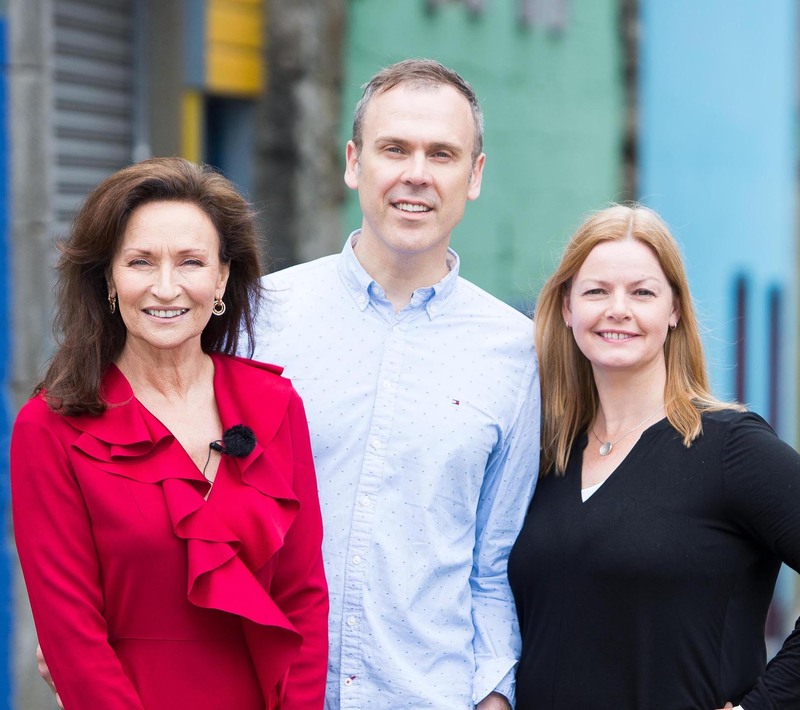 The impact which Focus Ireland has made on the people of Limerick was borne out by a recent study which outlined the difference a youth housing project made in the city. It changed the lives of young people who were homeless or at risk, and the project has been so successful that leading international experts believe it should be introduced nationally. Despite the best efforts of many, Limerick is one of the most economically disadvantaged cities in Ireland. Mr. Spillane said: “Our frontline staff here are still dealing with people who have become homeless from the rental sector as rents have been hiked up and they can’t afford them. The charity said the Government really has to kick–start the building of homes and follow through on delivering a more secure private rented sector if Ireland is to end the deepening crisis in the rental housing and homelessness areas. 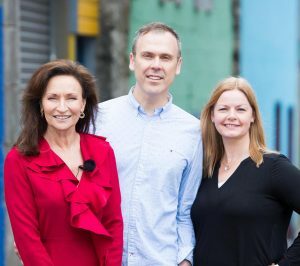 Focus Ireland said it aims to play its own key role in overcoming the crisis – for people who are homeless or at risk- as the charity aims to double its housing stock over the next four years. The charity currently provides homes for over 600 households around the country who were previously homeless or at risk. Provided 1,439 people with vital Advice & Information. Helped 480 households out of homelessness – up 16% on 2015. Changed the lives of 71 young people leaving care by providing them with a safe place to live. own or lease 820 housing units, 175 of these provide temporary accommodation and 645 provide long-term homes. Has grown extensively and we have now broadened our reach in the Mid-West to North Tipperary and Clare. have housed through their Social Rental Model Project in partnership with Limerick City and County Council the following; 86 families, 129 adults and 183 children. The breakdown for Limerick and Clare in 2016 was as follows; Focus Ireland housed 35 families, 63 adults and 87 children. So far in 2017 in Limerick, Focus Ireland have housed 30 families; 46 adults and 87 children. So far in 2017 in Clare, Focus Ireland have housed 21 families; 20 adults and 9 children.